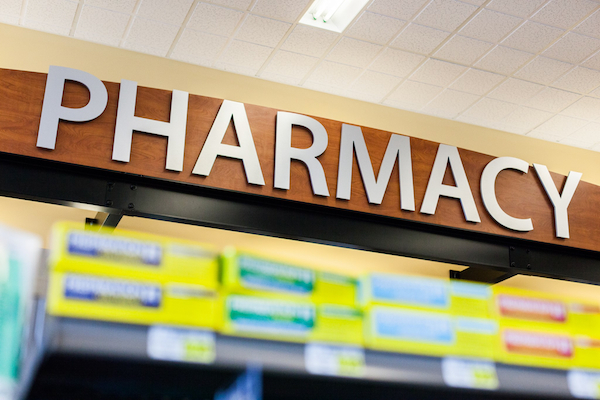 ARLINGTON, Va. — The National Association of Chain Drug Stores Foundation has launched a study to examine the impact of expanding access to community testing for latent tuberculosis infections (LTBI). Led by researchers at the University of New Mexico, the project will survey patients to get a picture of their health care experience and perspective on receiving TB testing in a community setting. The NACDS Foundation said the research also will assess improved patient health outcomes and access to care when TB testing and LTBI treatment are provided in a community pharmacy. The University of New Mexico has confirmed the participation of seven pharmacies and plans to start rolling out services in Albuquerque and Santa Fe, N.M., the foundation reported. Patients who seek care in participating sites will be counseled by specially trained pharmacists on TB risk factors and prevention. Those with positive test results will enter directly observed therapy immediately after being referred to the New Mexico Department of Health Tuberculosis Program. A 12-week medication regimen and education plan will be provided to patients at no cost. Patients will be able to choose whether to receive the treatment at the health department or a participating pharmacy. The study also will explore models to facilitate patient access to TB skin tests and immediate follow-up treatment to limit transmission. The NACDS Foundation said a training program developed by the Centers for Disease Control and Prevention (CDC) has been administered by the New Mexico Department of Health to 43 health care professionals. The research will evaluate the ability of this model to increase patient screenings, treatment initiation and adherence rates. “This study exemplifies key goals of the NACDS Foundation, because it seeks to evaluate the impact of enhanced patient access of TB testing on patient outcomes by engaging health care partners to extend the fantastic work of the state health department,” NACDS Foundation president Kathleen Jaeger said in a statement. The survey portion of the research is under way, and to date more than 100 patients who previously received a TB test in a pharmacy have consented to participate, according to the foundation. Titled “Improving Access Project: Tuberculosis Testing and Latent Tuberculosis Infection Treatment in Community Pharmacies,” the study is expected to conclude in September 2017. The NACDS Foundation noted that the project coincides with a recent recommendation from the U.S. Preventative Task Force advising that asymptomatic adults at higher risk for LTBI be screened in primary care settings. TB is a contagious and often severe airborne disease. People with LTBI infection don’t feel sick or have any symptoms. The only sign of TB infection is a positive reaction to the tuberculin skin test or TB blood test. People with latent TB infection aren’t infectious and can’t spread TB infection to others. About 30% of people exposed to the bacteria that causes tuberculosis will develop LTBI, the foundation reported. An estimated 10% of latent carriers will progress to active TB if they don’t receive treatment. If not treated properly, TB can be fatal. About 12 million people in the United States currently have LTBI, which has the potential to develop into a widespread public health issue.